Paul Oh of NGINX, Inc.
We recently announced NGINX Plus R10, the latest release of our commercial load balancer and web accelerator software with an optional WAF, additional security features, and more. In addition to making NGINX Plus more capable for enterprises looking to gain agility in delivering their critical applications, NGINX Plus R10 now supports servers based on IBM’s POWER microprocessor architecture (ppc64le). With the combination of NGINX Plus and POWER, businesses can optimize their stack from the chip up to provide services at the scale required by today’s leading Internet companies. Editor – This is the second in a series of blog posts that explore the new features in NGINX Plus R10 in depth. Also be sure to check out the on‑demand webinar, What’s New in NGINX Plus R10? POWER is a general‑purpose, open source microprocessor architecture designed for performance and scalability – just like NGINX Plus. POWER solutions are driven by innovation from the OpenPOWER Foundation and are built upon by a community of more than 2,300 ISVs supporting Linux on POWER. The architecture is increasingly used for high‑end applications such as cloud computing, big data and analytics, IoT, hyperscale data centers, and a range of other data‑intensive uses. As high‑intensity web applications scale up, the use of NGINX Plus and POWER systems to manage these services grows even more critical. 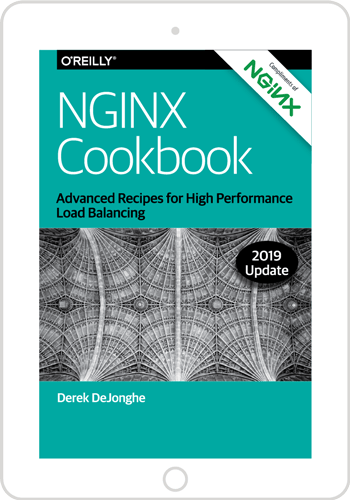 NGINX Plus features such as advanced load balancing, session persistence, application health checks, and monitoring help ensure that applications and services are available and scalable across unpredictable spikes in demand, even in the largest infrastructures. Web serving and load balancing in the IBM Turbo LAMP software ecosystem. Turbo LAMP is a high‑performance Linux ecosystem offering popular Linux, database, and PHP options. You can easily deploy NGINX Plus to manage traffic and load balance multiple Turbo LAMP components, simplifying the task load and reducing processing requirements for the application server, making your Magento, WordPress, and Drupal deployments more secure and higher performing than ever before. You can find out more about IBM Turbo LAMP here. Front‑ending Java and Node.js applications for WebSphere Liberty application server and IBM API Connect (StrongLoop) servers. WebSphere Liberty is a fast, lightweight and easy‑to‑use Java EE application server that’s ideal for developers creating Java web applications. IBM API Connect is a management solution that enables rapid deployment and simplified administration of APIs. Using NGINX Plus with WebSphere Liberty and IBM API Connect allows for a dynamic, production ready application infrastructure where applications and services are always highly available, scalable with maximum performance. You can implement load balancing, caching, SSL termination, A/B testing and centralized management for WebSphere and IBM API Connect clusters. You can read more about using NGINX with WebSphere in the IBM Websphere Deployment Guide. To find out more about NGINX Plus with IBM POWER, start your free 30‑day trial today or contact us for a live demo.